Here at TopSpeed, we give you the rundown on some pretty expensive equipment. Whether it is a Ferrari, Maserati, Ford or Fiat, all these things cost money. We know caring for that new rig can be nerve-racking with all the rogue shopping carts and distracted drivers looming inches away – not to mention the jealous thieves who’d love to help themselves to your new 911. 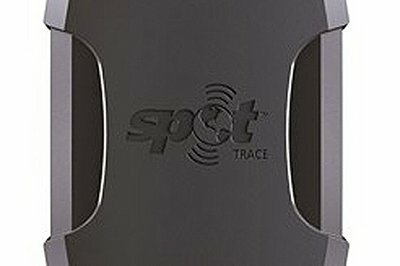 That’s why our eyes popped wide when we saw the latest product from Globalstar, Inc.: the SPOT Trace. It’s a GPS-based tracking device wrapped in a small but tough box designed to be hidden within anything valuable, like a car, ATV, motorcycle or boat. The SPOT Trace uses GPS signals to monitor any movement, even down to vibrations, of whatever the device is secured to. Any movement can be automatically sent to a cell phone, via email or text message, to alert of possible theft. The SPOT Trace also has a dock mode for monitoring boats moored in harbor. Users can set their preferences to receive updates in 2.5, 5, 10, 30, or 60-minute intervals. They can also view their asset’s location 24/7 in real time on Google Maps. Even if the thief tries to flee internationally, the GPS tracker will follow the SPOT Trace almost anywhere in the world. And with an 18-month battery life, the thief’s chances of keeping his loot are dramatically slim. Perhaps the SPOT Trace’s best feature is its affordability. The unit itself only runs $99 and the yearly GPS subscription costs the same. A hundred bucks seems like a real bargain for some peace of mind knowing that your $100,000 Porsche or $1.5 million yacht is right where you parked it. notification for on or off the grid communications. assets are safe," said Jay Monroe, CEO and Chairman of Globalstar. service user that are relevant to millions of people globally." initiated by the SPOT brand of products. well as thousands of miles offshore of these areas.